The lower number of carats tendered and sold is attributable to a reduction in the volume of material being processed due to the previously announced water recovery issues associated with excessively suspensive properties of the very fine kimberlitic clay materials, along with a shorter time frame between tender dates during the quarter, the miner said. Despite the limited processing volumes, the project continues to demonstrate its potential for the recovery of larger rough diamonds. 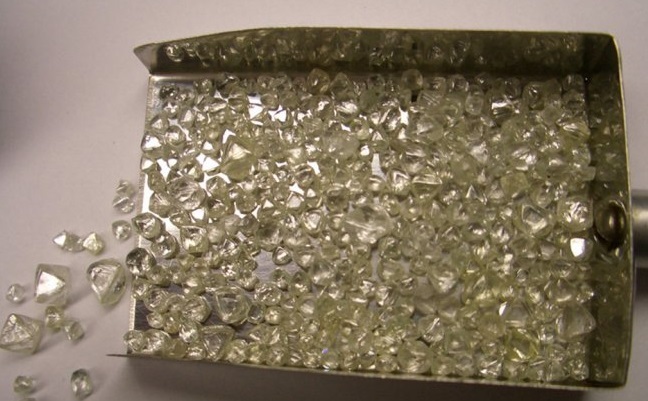 Of the total rough diamonds tendered and sold, 3 individual rough diamonds were in the specials category (+10.8 carats) with the largest being 25.02 carats, 19 individual rough diamonds being over 5 carats in size, and 182 individual rough diamonds being over 2 carats in size. The average dollar per carat price of $198.57 for the rough diamonds tendered compares with $171.70 in the previous quarter ended September 30. The increase in the average dollar per carat is attributable partially to the quality of the 25.02 carat rough diamond tendered and increased attendance at the tender.